Brad and Jeanie.. the early years! The Blend11 started out as something I just wanted to have for breakfast myself. Working as a naturopath in healthfood stores and pharmacies for years, and raising a family had made food and nutrition a big part of my life over the past 17 years. There were so many breakfast options out there, but I really wasn't happy to feed most of them to my kids / myself, so we'd normally just eat some sort of muesli or porridge with yoghurt, or sometimes eggs or omelette, smoothies etc - but basically, there was no quick, easy healthy option I was 100% happy with. After seeing a few of the newer muesli-like products arrive on the shelves / in the bulk bins, I started thinking 'hey, I reckon I can do better than these', so with my boss's permission, I had a play with some ingredients, made a 'good mix', and we trialled it in the bins, labelling it 'breakfast booster'. It started out a bit slowly (looking like birdseed probably didn't help), but all the naturopaths on staff knew the chosen ingredients well, and customers started to try the mix out, trusting our advice. After a short period of time it became the most popular breakfast product in the store, and customers were telling us interesting stories about what was happening when they ate it... After hearing these stories and trialling the mix himself, my new boyfriend at the time - Brad, an ex-Muay Thai fighter and now instructor (who became my amazing life and goodMix business partner), said "You should sell this yourself babe - it's a good product". I was a little (ok extremely) reluctant to start my own business (I'd seen those business-owning people - always coming into the shop needing magnesium, adrenal tonics, massages, and anti-stress herbal supplements)...but Brad held my hand / shoved me along like a bloody trainer every step of the way! Some ingredients were ordered (the shop mix was improved upon and tweaked a bit), and the first batch of new and improved 'breakfast booster' was mixed - in a 3kg empty protein powder bucket one night after work. 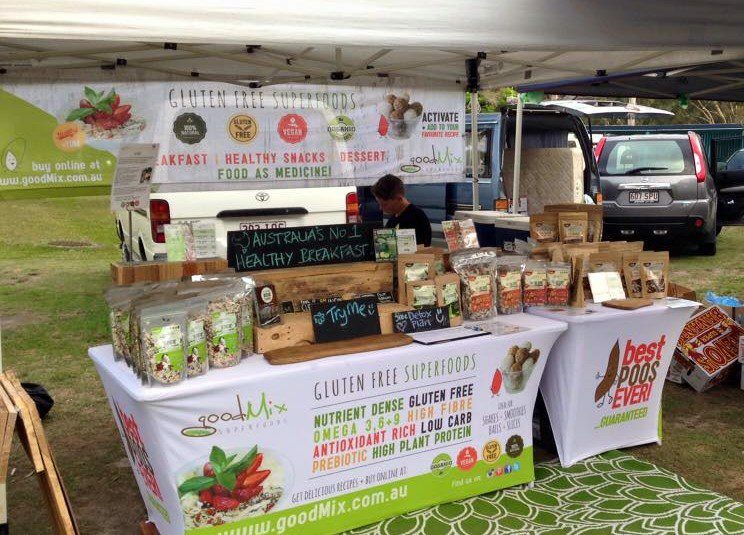 It started with just one market on a Sunday, and grew (in a year and a half) into a (more than) full-time business for both of us, with over 10 markets running each week plus a growing handful of health professionals, trainers, cafes and gyms selling goodMix to a continually growing regular customer base on the Gold Coast and in Brisbane. I had my moments as a small, start-up business owner, but was convinced by Brad that all the crazy 3am starts, heavy lifting, rainy market days, missed weekend events / social-life and late nights bagging and packing would pay off one day. I am actually starting to believe him now, as all of the market-going, interstate holiday-makers trying the mix in their beachside apartments are getting home and feeling unable to go back to their regular breakfast food! Just a few bowls is enough to create an addiction, it seems! 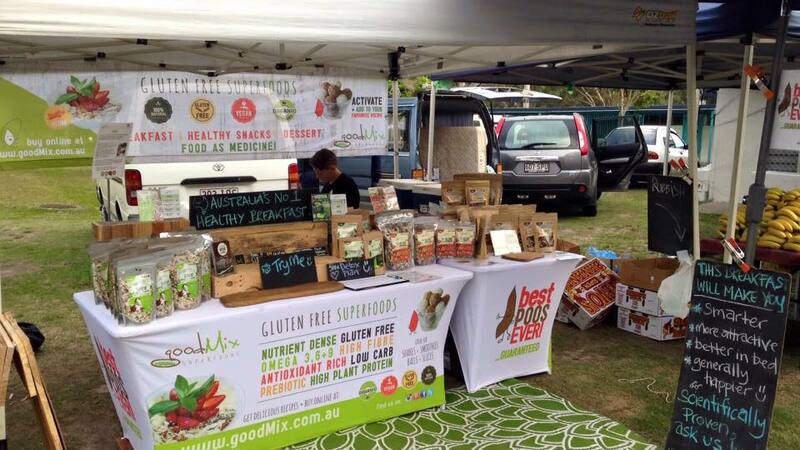 Branching into online sales using just a Facebook page allowed 'the seeds to spread' all over Australia! The ordering system being clunky and 'less than ideal', but nevertheless successful, meant that our next step had to be a proper website with smooth online ordering capabilities. Tada! Here it is - hopefully, it's working well for you! Through both the rapidly-growing Facebook page and the regular interactions at market with our customers, we heard stories from so many 'addicts' using Blend11 daily, thrilled with the product. 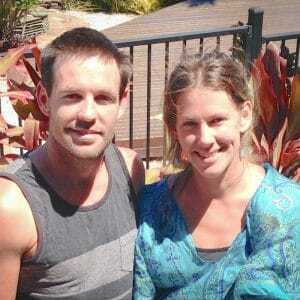 We thought - the rest of Australia needs this stuff too!...but how? We physically cannot do any more markets! Enter friend and business mentor Jonathan (a total Blend11 addict) who suggested finding local people with a passion for real food to join us - selling face to face at markets close to where they live. We give them an opportunity to share in the business...seemed like a good idea! So 'own your own goodMix Patch' was born! 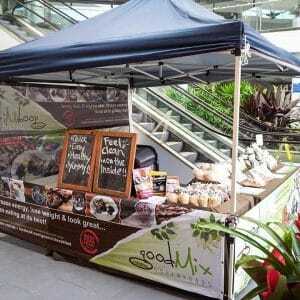 We knew that the mix would sell beautifully at any market, around the country (or world) wherever there were people wanting to eat healthier, allowing anyone to start their own little (or big) business with minimal outlay. There's always room for people wanting to join us! You can choose your own hours (you might like the crazy 3am starts...or not so much! And no late-night mixing and bagging, we take care of all that). Choose your own income, work with / around your family commitments / another job, and build a business with our support and training. It happened! Our first brave 'Patchy' joined the team after falling in love with the product at a market and doing a bit of research online into recipes etc. She was hooked and was looking for something to supplement her day job - as a single mum to 3 kids - the opportunity and its flexibility was perfect! One was followed by another and another - mostly similar stories of becoming hooked on the product - then deciding to turn that passion into a weekend income. So now that in South East Qld, it is easy to find a bag of Blend11 in most good markets, it's time to head further afield. We like to think we're changing the world, one good poo at a time.